George Ling Hu was born in 1942 in Chung King, China. He is the son of physicians of Western Medicine, and moved to Taipei, Taiwan, in the late 1940s. At age eleven, Master Hu became a student of Master Han Ching Tang, studying Shaolin Temple Boxing and Tai Chi Chuan. At age 15, he began to teach these martial art forms himself. Later under Master Wang Yen-nien, he studied the secret Yang family form of Tai Chi Chuan. In addition, he has studied the Character system with Master Shoung Cheng Shun, Chi Kung with Master Kun Shen-teh from Shanghai, Tai Chi Chuan with Master Shih Ming in Beijing's Purple Bamboo Park, Shan Shie style of Hsing I with Master Wu Chao-shung, Sun Style of Pa Kua and Hsing I with General Stewart Ho, Shuai Chiao (Chinese judo), Chin Na (joint twisting and locking techniques), Nei Kung, Yoga, and therapeutic massage. Master Hu is a member of the Chinese Tai Chi Chuan Association, a select society which it is a rare honor and privilege to be elected to join. He has served on its Research Committee, which is devoted to the scientific evaluation of Tai Chi Chuan, the study of its history, investigation of special training programs, and the study of the physiology of the exercise. He has also served on its Teaching Committee, which is devoted to designing programs for Tai Chi Chuan instruction. In addition, Master Hu is a member of the National Kuo Shu (martial arts) Association of Taiwan, and of the Taiwan Yoga Association. Since coming to the U.S. in 1969, Master Hu has taught Tai Chi Chuan and Kung Fu classes at the University of Chicago, the University of Illinois, Governor's State University and the College of Dupage. At Roosevelt University he taught Tai Chi Chuan in the Physical Education Department, while completing a course of cultural studies in Chinese Philosophy and Tai Chi Chuan in the Anthropology Department. Each year, for more than fifteen years, he has given over ten demonstrations and workshops of Kung Fu and Tai Chi Chuan in Colorado, Illinois, Michigan, Missouri, Montana, Ohio, Washington, D.C., and Texas. During his martial arts career, he has participated in over twenty-five Martial Arts tournaments, placing first in most competitions. In addition to his martial arts distinctions, Master Hu holds graduate degrees in Geology and Mineralogy from both the University of Chicago and the National Taiwan University. He is a member of the Texas Acupuncture Association. 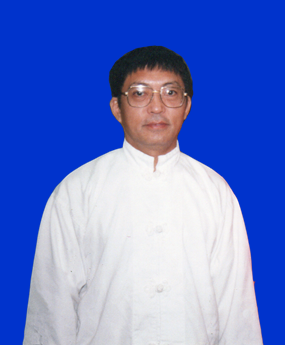 He currently teaches Chi Kung and Internal Style Martial Arts in Houston, Texas, where he also maintains an active practice of traditional Chinese Healing (acupuncture, acupressure, moxibustion, etc.). He consults on a regular basis with local hospitals and has been featured on local media shows. 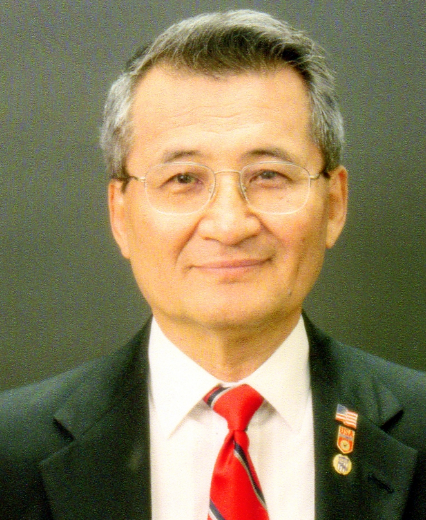 Master Jeung H. Kim is a graduate of Kent State University, where he earned his B.A. and M.A. in Education. Master Kim served in the U.Ss Army 4th Armored Division – 24th Combat Engineer Battalion in Nuremberg, Germany. He was also a member of the All European Armed Forces Rifle Team. Master Kim is a retired College Professor of Education. Master Kim holds martial art ranks in Tae Kwon Do, 6th Dan, Jui Jitsu 8th Dan and 10th Dan in karate. Master Kim began his Isshinryu Karate training under Master Harry Acklin in Cleveland, Ohio. It is here where he met and trained with Master Tatsuo Shimabuku. Master Kim continued his training with Masters Kichiro Shimabuku, Master Angi Uezu, and Master Don Nagle. Master Nagle promoted Hanshi Kim to 9th dan in Isshinryu. In 2010 he was promoted by a Board of Karate Masters ( including 9th Dan Isshinryu masters ) to the rank of 10th dan. Master Kim has been involved in competing, teaching, coaching, officiating and promoting Isshinryu karate for more than fifty years. In that time he has produced countless champions locally, nationally and internationally. He has produced six USA national team members under the AAU and the USAKF that competed nationally and internationally, winning many awards. Professor Kim started the Kent State University Karate Club, the Brookedale Community Karate Club, the J.H. Kim Karate Institute and taught Isshinryu Karate at Brookdale Community College for thirty years. He also introduced and taught the first karate and self-defense program at Kent State University in the late sixties. He hosted the first World Isshinryu Karate Association Championships in 1981. He has literally taught and introduced thousands of students to the art of Isshinryu Karate. Professor Kim has coached the USA Karate Team for the AAU and USA Karate Federation under the U.S .Olympic Committee. Master Kim coached the 1980 (WUKO) World Championships in Spain, the 1984 World Championships in Holland, the 1985 Eastern Europe Karate Championship in Hungary, the 1986 & 1988 Pan Am Karate Cup in the USA, the 1990 WUKO World Championships in Mexico, the 1990 & 1992 Women's World Karate Cup in France, the 1991 Fukuoka World Cup in Japan, the 1996 Athen's Good Will International Championship in Athens, the 1997 French Intl. Good Will Karate Cup and many, many more. Master Kim also served as an international judge and referee in a multitude of other events. Master Kim was a representative to the U.S. Olympic Committee's Coaches Education Symposium and Sport Psychology Symposium. He was the chairman for the National Collegiate Karate Program, chairman for the East Coast Regional Referee Council for the USAKF. Hanshi Kim has earned the 1984 USAKF “Distinguished Service Award", 1985 AOKA hall of fame Master Instructor's Award, 1986 US Olympic Committee and USA Karate Federation "Man of the Year" award, 1997 AOKA "Master Instructors Award, the 1988 U.S. Olympic Committee and USA Karate Federation "Distinguished Service Award" and also countless awards given for his contributions to karate.